Clean Energy and Water Technologies: Can Bio-gasification transform our world? Carbon neutral biomass is becoming a potential alternative energy source for fossil fuels in our Carbon constrained economy. More and more waste –to-energy projects is implemented all over the world due to the availability of biomass on a larger scale; thanks to the increasing population and farming activities. New technological developments are taking place side by side to enhance the quality of Biogas for power generation. Distributed power generation using biogas is an ideal method for rural electrification especially, where grid power is unreliable or unavailable. Countries like India which is predominantly an agricultural country, requires steady power for irrigation as well as domestic power and fuel for her villages. Large quantity of biomass in the form of agriculture waste, animal wastes and domestic effluent from sewage treatment plants are readily available for generation of biogas. However, generation of biogas of specified quality is a critical factor in utilizing such large quantities of biomass. In fact, large quantity of biomass can be sensibly utilized for both power generations as well as for the production of value added chemicals, which are otherwise produced from fossil fuels, by simply integrating suitable technologies and methods depending upon the quantity and quality of biomass available at a specific location. Necessary technology is available to integrate biomass gasification plants with existing coal or oil based power plants as well as with chemical plants such as Methanol and Urea. By such integration, one can gradually change from fossil fuel economy to biofuel economy without incurring very large capital investments and infrastructural changes. For example, a coal or oil fired power plant can be easily integrated with a large scale biomass plant so that our dependency on coal or oil can be gradually eliminated. Generation of biogas using anaerobic digestion is a common method. But this method generates biogas with 60% Methane content only, and it has to be enriched to more than 95% Methane content and free from Sulfur compounds, so that it can substitute piped natural gas with high calorific value or LPG (liquefied petroleum gas). Several methods of biogas purification are available but chemical-free methods such as pressurized water absorption or cryogenic separation or hollow fiber membrane separation are preferred choices. The resulting purified biogas can be stored under pressure in tanks and supplied to each house through underground pipelines for heating and cooking. Small business and commercial establishments can generate their own power from this gas using spark-ignited reciprocating gas engines (lean burnt gas engines) or micro turbines or PAFCs (phosphoric acid fuel cells) and use the waste heat to air-condition their premises using absorption chillers. In tropical countries like India, such method of distributed power generation is absolutely necessary to eliminate blackouts and grid failures. By using this method, the rural population need not depend upon the state owned grid supplies but generate their own power and generate their own gas, and need not depend on the supply of rationed LPG cylinders for cooking. If the volume of Bio-methane gas is large enough, then it can also be liquefied into a liquified bio-methane gas (LBG) similar to LNG and LPG. The volume of bio-methane gas will be reduced by 600 times, on liquefaction. It can be distributed in small cryogenic cylinders and tanks just like a diesel fuel. The rural population can use this liquid bio-methane gas as a fuel for transportation like cars, trucks, buses, and farm equipments like tractors and even scooters and auto-rickshaws. 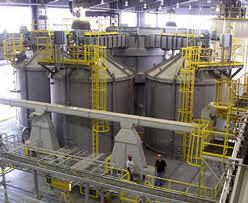 Alternatively, large-scale biomass can be converted into syngas by gasification methods so that resulting biomass can be used as a fuel as well as raw materials to manufacture various chemicals. By gasification methods, the biomass can be converted into a syngas (a mixture of Hydrogen and Carbon monoxide) and free from sulfur and other contaminants. 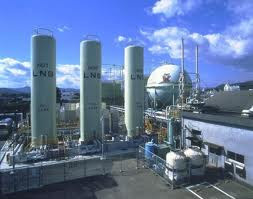 Syngas can be directly used for power generation using engines and gas turbines. Hydrogen rich syngas is a more value added product and serves not only as a fuel for power generation, but also for cooking, heating and cooling. A schematic flow diagram Fig 3, Fig4 and Fig 6 (Ref: Mitsubhisi Heavy Industries Review) shows how gasification of biomass to syngas can compete with existing fossil fuels for various applications such as for power generation, as a raw material for various chemical synthesis and as a fuel for cooking, heating and cooling and finally as a liquid fuel for transportation. Bio-gasification has a potential to transform our fossil fuel dependant world into Carbon-free world and to assist us to mitigate the global warming.